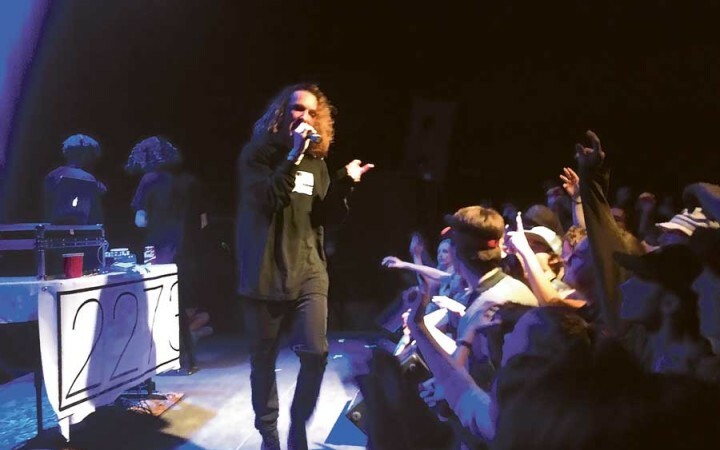 On April 1, Christian Felner, more commonly known by his stage name “Felly,” performed at Higher Ground in South Burlington, Vermont. Felly was born and raised in Connecticut, but now attends University of Southern California (USC), and is studying music industry. 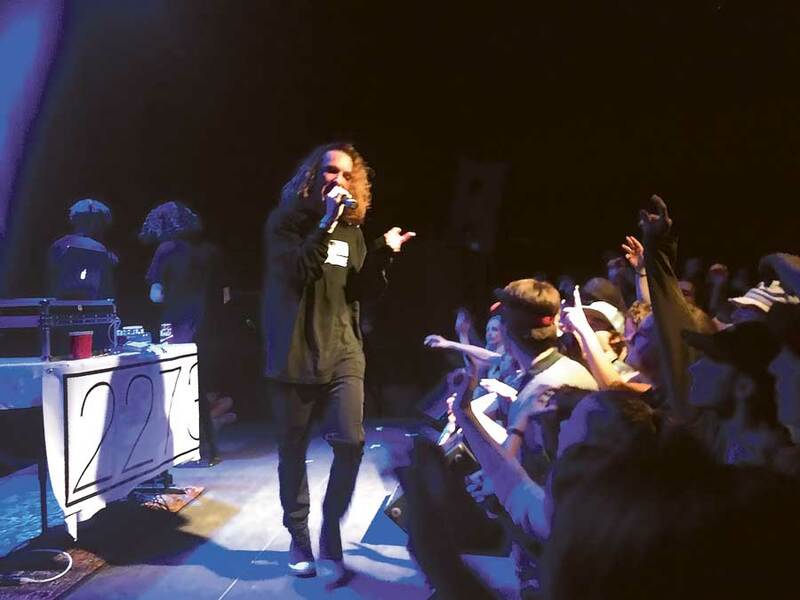 After his show, Felly answered a few interview questions about what goes into pursuing a dream, and how to do so while also getting a degree. “I study music industry there and so things aren’t that hard because this is what the major is. They want you to go out and get it and do what you want to do. This is music industry, we work with agents and everything they teach you about,” Felly said. Felly’s style of music is rap, and he said he focuses on making his own beats and writing his own poetic lyrics. His tour, called “7th King Tour,” will be making 21 stops in 12 states over the span of four months. The tour also featured Gypps, fellow USC student music artist and co-founder of 2273 records alongside Felly, and Jake Standley, another USC student artist. Felly said the boys founded the record company during their first years at USC, naming it after Gypps’ first-year dorm number. Lindsey Hedges, first-year at Saint Michael’s College in Vermont, discussed why she enjoys his music and why she came out to the concert. “His ambition to pursue his passion is really inspiring, which makes listening to the music and watching him perform more enjoyable,” Hedges said. Felly continued to talk about what his education means to him. Felly has 8 more shows left on his tour, the next one being at S.O.B.’s in New York City.